Osgood-Schlatter is a painful condition affecting the top of the shin bone right below the knee cap. It is commonly seen in children and adolescents around the time of a growth spurt. This overuse injury is increased with physical activity or sports due to the pulling of the quads on the patellar tendon on the bump (tibial tubercle) covering the shin bone. Osgood-Schlatter is an inflammation and swelling over the bump at the top of the shin. It is seen more often in boys than girls. Osgood-Schlatter typically heals on its own over time. 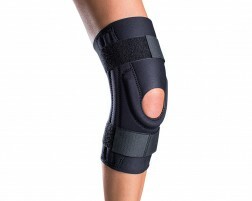 Pain can be relieved by resting, icing the knee, taking anti-inflammatory drugs, and using a knee brace for support and compression to help alleviate pain. 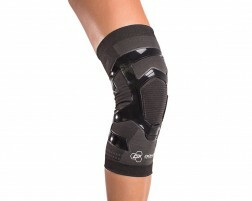 Need help selecting a brace for Osgood-Schlatter? Use Brace Advisor, our guide tool for helping you select a brace for Osgood-Schlatter based on your level of activity and whether you have a previous injury or are looking to prevent Osgood-Schlatter.